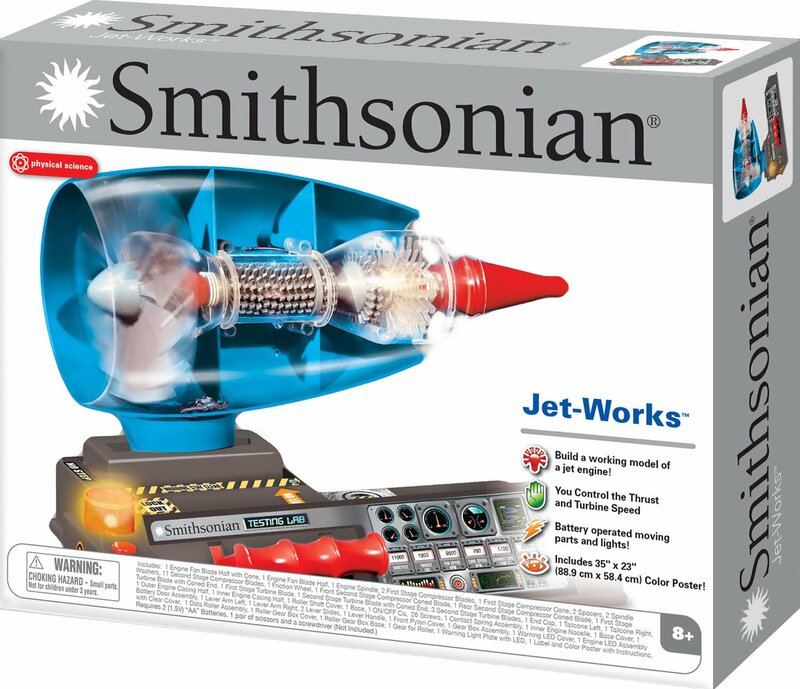 Build a Working Model of a Jet Engine Learn the science behind why a jetengine works by assembling this replica plastic model. Once built you willcontrol the thrust and turbine speed. Battery operated moving parts and lightshelp bring the simulation to life. Includes a color poster with instructionsand fun facts. Requires 2 AA batteries, scissors and screw driver (all notincluded).For ages 8+ (with adult supervision).